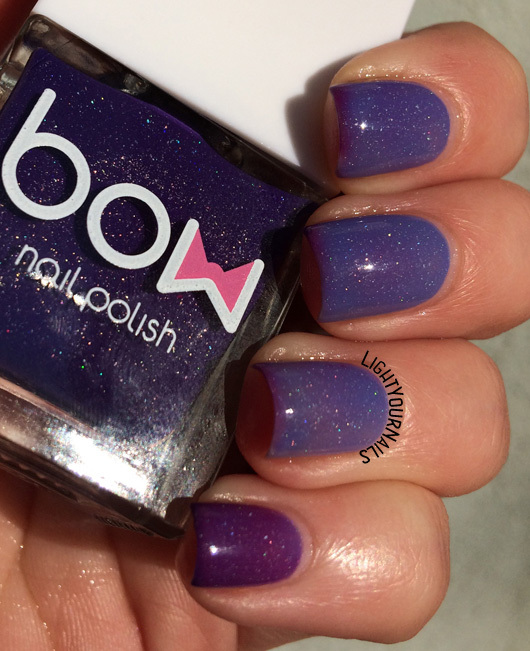 ABC challenge: Bow Winds of Change | Light Your Nails! ma è bellissimo! peccato a me in inverno i termici stiano sempre sul colore freddo! Anche a me Sara! Mi si riscaldano solo la sera, ma non faccio le foto senza sole! Usually I don't like purple shades.. 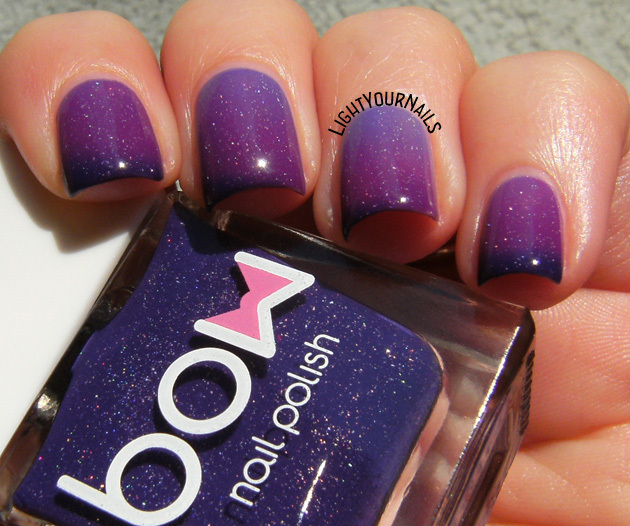 But this nail polish, oh my god ! I love it ! The colour change is so beautiful ! Yes it's amazing! They do have more colours from this collection anyway! You have to! The effect on your long nails must be fantastic! che dire! questo smalto è un sogno! mi hai creato un nuovo bisogno, solo che sono in "no spend" :'( è troppo bello!!! This is such a gorgeous thermal! All three colors show up nicely :) I actually thought this was a gradient before I read your post! Thank you! Yes, the 3 colours all show very well! This is one of the most beautiful thermals I've ever seen! ♥♥♥ I looooove this shade! Though I always get annoyed if the warm shade is lighter than the cold state, makes it so hard to check for bald spots :P.
I learned it the hard way! that is a glorious gradient. I would be sad whenever it changed. Yeah, I was kinda sad when it stuck to dark purple! Not me, I keep singing Wind of Change although it misses an S! Io ero quella non tanto entusiasta dei termici. Non puoi arrivare tu e sfoderare una cosa così! -.- Viola, poi! Wow, this polish is so cool!! I love it! So pretty. I love thermals! Thank you Rose! I love them, too! Those nails are goooorgeous. magenta - purple is such a lovely pairing. I love the shift this has! 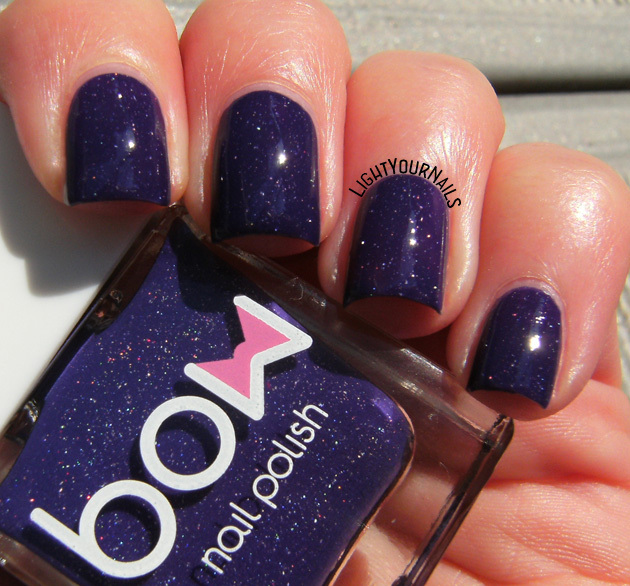 I'm obsessed with all of the Bow's thermals! Out of the three that I purchased winds of change is my absolute favorite due to it's tri color shift. I haven't worn it yet because I'm trying to pick the perfect image to stamp on top. But you'll have to wear it on its own for a day! It's so worth it!